Ajax centre-back Matthijs de Ligt has emerged as a surprise target for Barcelona in the winter transfer window. Barcelona will look to sign Ajax centre-back Matthijs de Ligt, according to the football transfer rumours in Dutch Media (VoetbalZone). The Netherlands international has joined Ajax in 2008. The 18-year-old has a valid contract with Ajax until June 2021. Matthijs de Ligt made 32 appearances across all competitions for Ajax, scoring 3 goals in return. The 18-year-old is considered to be one of the best young centre-backs in Netherlands. Matthijs de Ligt has represented Netherlands at Under-15, Under-16, Under-17 and Under-19 level, winning 33 caps and scoring one goals, before making his senior international debut in March 2017. As a member of Netherlands national football team, Matthijs de Ligt has won two caps. Ernesto Valverde wants to sign a new centre-back for the future this winter and Matthijs de Ligt is one of the names at the top of his wishlist. He has always been a manager who keeps his eyes on the most talented young players across the globe. The report claims that Barcelona manager has extensively scouted Matthijs de Ligt and is considering a move for the centre-back. Barcelona will be desperate to make an impact in winter transfer window. The Netherlands international is a player who has impressed many European clubs in the last season, and it is understood that Barcelona manager would prefer playing him as a centre-back. 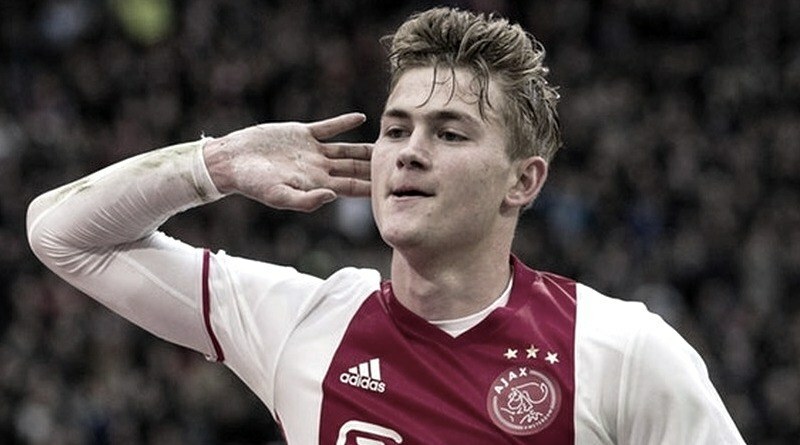 However, there is some talk that Ernesto Valverde could rotate his players more in the second part of the season as Barcelona look to compete on three fronts, so there could still be enough game time available for Matthijs de Ligt if he did make the move. According to the report in Dutch Media, Barcelona are ready to lure the 18-year-old to the Nou Camp to continue his development. How strong that interest is and whether Barcelona will make a winter move remains to be seen but it is certainly one worth keeping an eye on.